If you’re reading this blog, you’re probably a lot like us: after a long day, or when you’re ready to unwind, very few things sound as good as a great beer. If this describe’s you, don’t worry, you’re not alone: studies show that the average American drinks about 23 gallons or 9 cases of beer annually. Nice. Like all good things, beer is great in moderation. For those among us who have gluten intolerance and those who are diagnosed with celiac disease, the simple act of enjoying a beer can have more serious consequences. This often includes digestive issues, abdominal pain, joint pain, skin rashes, and may eventually lead to intestinal damage. And that can be a bummer. What isn’t a bummer, though, is that breweries are recognizing this and are filling kegs, bottles, and cans to provide suitable options to consumers. 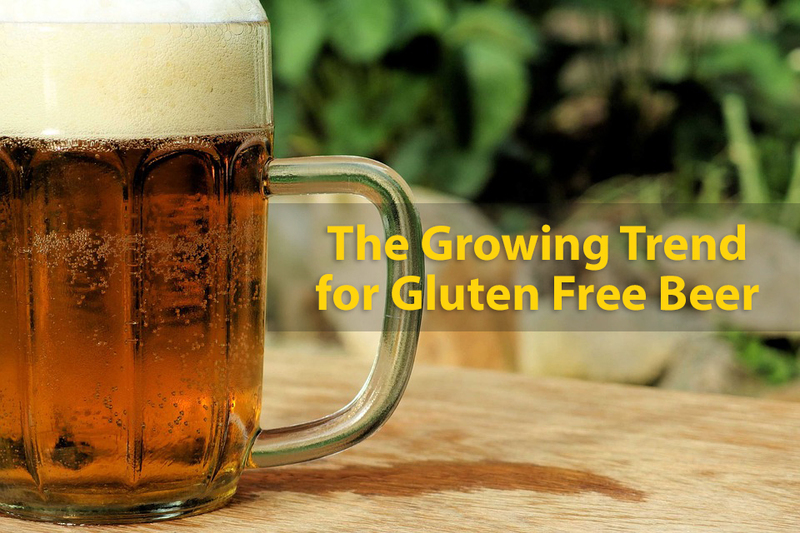 As more breweries learn how to craft and produce quality, gluten-free or gluten-reduced ales and lagers, the number of choices of gluten-conscious beers is steadily increasing. In fact, if today you were to attempt to drink a different gluten-free beer every day, you’d be able to drink a unique brew for 60 days…not bad, right? Here’s the best part: as brewers rise to the challenge of creating quality gluten-free beers, they challenge one another to make these beers as similar to “normal” beers as possible. 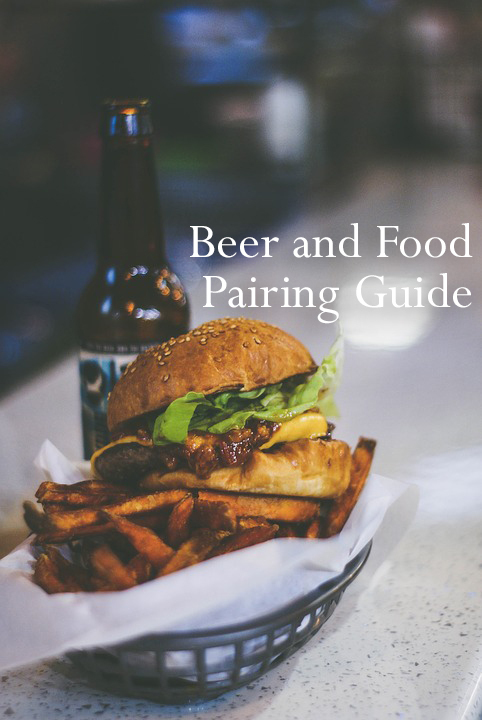 This means that you can take your friends to one of these breweries and they may not even know that they’re not drinking a beer made with traditional beer ingredients. New Planet Beer has been at the forefront of this movement since 2009. We strive to make beer that people love and want to drink. We offer a wide array of gluten-free and gluten-reduced beer, giving you a chance to choose something that suits you. So pick up a six pack and enjoy. Cheers! Colorado is widely recognized as the Mecca of the craft brew industry. It leads the nation in terms of innovation and taste. One particular area in craft beer that people are noticing is that there is the lack of gluten-free or gluten-reduced options available in the market. A large segment of the population is intolerant to gluten or is trying to reduce the amount of gluten in their diet. As a result, they avoid drinking beer that contains gluten. The good news is that New Planet Beer is offering both gluten-free and gluten-reduced beer, and seclusion IPA is the latter. It is certainly not an easy task to brew gluten-free beer. What’s equally challenging is to produce gluten-free or gluten reduced beer that is the same malty, carbonated beverage Americans have come to love. New Planet Beer is passionate about providing everyone with a good brew whether they are gluten sensitive or not. New Planet Brewery entered Seclusion IPA into the Denver International Beer Competition in 2015where it won a gold medal in the Gluten-Reduced Category. 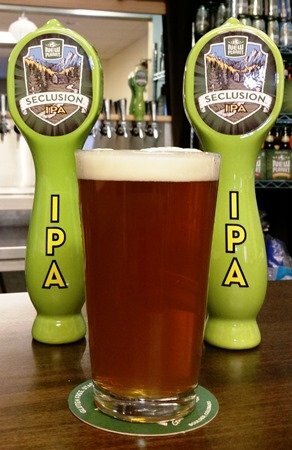 Seclusion IPA is brewed with barley which does contain gluten. New Planet Beer uses a special process to remove the vast majority of gluten from the finished product, while still retaining its beer character. The taste and mouthful is where Seclusion IPA really excels. It has a light breadiness balanced with tropical fruit, citrus and floral character. It is robust and aromatic with just the right amount of bitterness. The color is a light copper and has the perfect level of carbonation to aerate those complex flavors and aromas which it contains. It has a light and fluffy white head that persists to the end. Because of Seclusion’s bold and complex nature, it is best paired with foods such as grilled steak with a caramelized crust, salty or fried snacks, Mexican fajitas or Indian curries. Are hops gluten free? We will answer that question in a moment. A lot of people may think that there isn’t anything special about a hop plant. It doesn’t have a lot of uses, it only pops out valuable flowers once a year and is susceptible to pests and diseases. It turns out, this plant possesses many health benefits. It is used as an aid for insomnia, anxiety and other sleep disorders. Because of its antibacterial properties, they are also used in skin creams and lotions. Most importantly, hops play a huge role in the production of one of America’s well-loved beverage . . .beer. 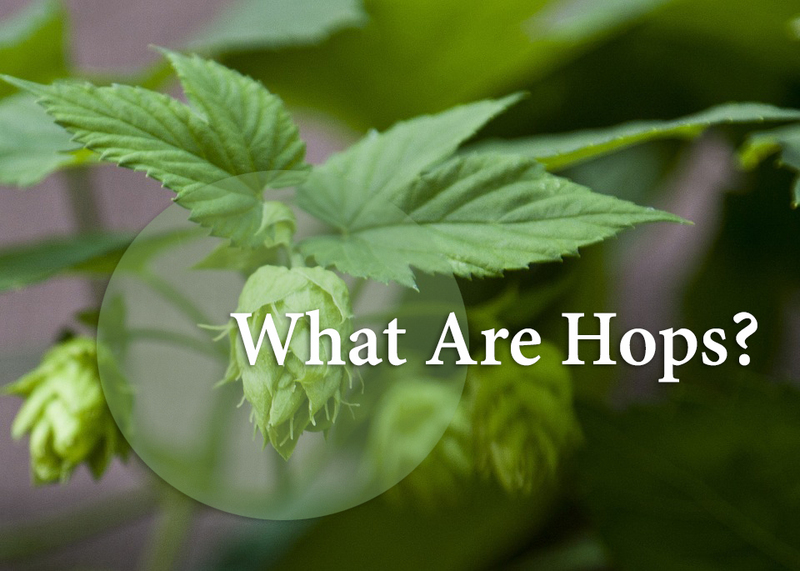 Hops are the cone-like flowers of a female climbing plant in the cannabis family. At the base of the petals, you’ll find a gland that produces tiny yellow globules called lupulins. These contain the resins and essential oils that are so prized by brewers. Hops are one of the basic ingredients in beer. Beer wouldn’t be beer without hops. They are extensively used in brewing due to the bitterness, flavor and aroma they impart with in the beer. It balances the sweetness of malt with bitterness and provides complex flavors and a refreshing finish. During the 18th century, brewers began transporting ales to India. After fermentation, hops were added directly to the cask to preserve the beer and keep it fresh over the several months of voyage to India. By the end of the journey, the beer had acquired the flavor and aroma of hops. This was how the India Pale Ale was developed. Beer is made using yeast, grain, water and hops. In case you’re wondering, yes, hops are gluten free. The gluten in most beers usually comes from grains that are used in the brewing process such as barley, wheat and rye. Gluten free beer is relatively new in the world of brewing. In fact, only a handful of brewers from around the world are producing 100% gluten-free beer – New Planet Beer being one of them. 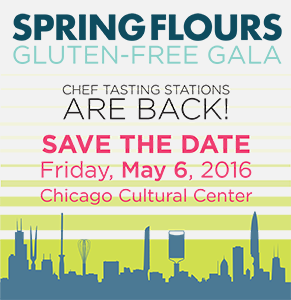 Since 2007, some of Chicago’s best bakers and restaurateurs have gathered each year for an evening featuring gourmet gluten-free cuisine to sell-out crowds. The event is like no other—it allows diners and chefs to interact directly in a shared appreciation of wonderful food and a great cause. This year, New Planet Beer will be among the libations offered at Spring Flours. Be sure to give our gluten free beers a taste as you enjoy the evening! gluten related disorders. 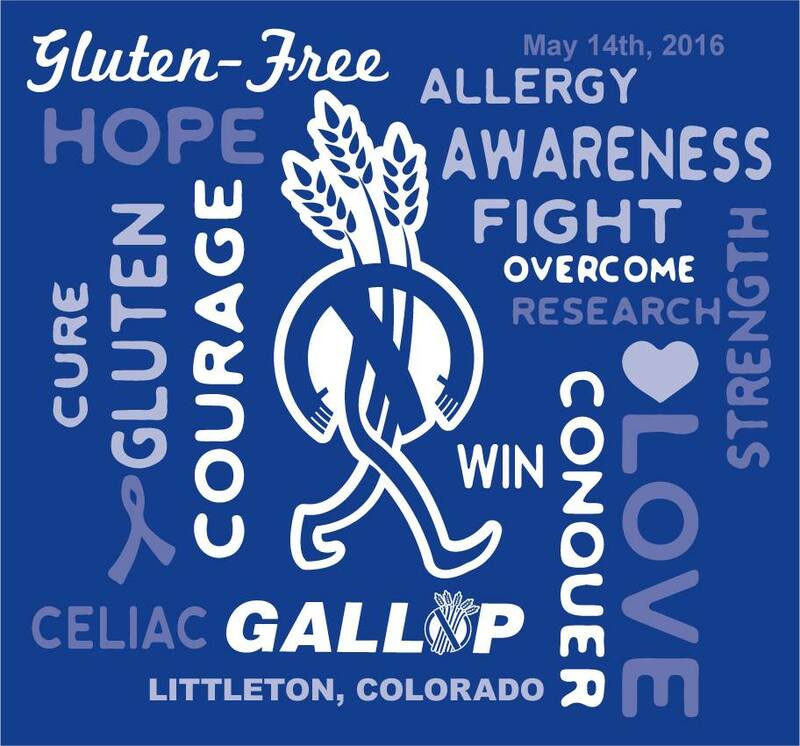 The Gluten Free Gallop will take place at Clement Park in Littleton, CO on Saturday May 14th, 2016. This is a fun family, stroller and dog friendly event. We hope you will join us again for this amazing event! Anyone who registers between now and May 1st will be entered to win a $20 gift card to Beau Jo’s Colorado Style Pizza! There may still be twelve days left until Christmas, but we’re already dreaming about all of the gluten-free treats we’ll get to enjoy with family and friends. But why should you have to wait until the end of December to start spreading the holiday cheer? Using the recipes below, bake some gluten-free sugar or gingerbread cookies, then hand deliver them to family and friends’ houses. Feeling extra-festive? Invite some friends over to make gluten-free gingerbread houses (just make sure to use gluten-free candy)! Whisk all of the flours together in a medium-sized bowl, then carefully sift them through a fine-mesh sieve into another bowl. Add the baking powder, salt, and xanthan gum to that bowl before whisking everything together again. Set aside. Stir the butter in a separate bowl, or use the beater attachment of a stand mixer to stir it. Add the sugar, then cream them together until they have combined. Add the two eggs and vanilla extract before beating the mixture for a couple more minutes. Stir in a pinch of nutmeg. Sift the dry ingredients mixture into the liquid one, one cup at a time. Make sure that everything is entirely mixed together. The thick batter won’t be as stiff as traditional rolled cookie dough and won’t be completely sticky to the touch. Wrap the dough in plastic and refrigerate it overnight. Take the dough out of the refrigerator and let it warm up to room temperature, but don’t let it reach complete pliability. Ideally, the dough should still be rather stiff from refrigeration. Preheat the oven to 375° F, then roll out the cookie dough on a gluten-free cutting board, or between two pieces of parchment paper. Use cookie cutters or a knife to cut out holiday shapes or create your own. Bake cookies for 8-12 minutes, depending on your oven and how crispy you’d like them to be. Let them cool 10 minutes before tasting them. Makes about 15-20 cookies, depending on shapes. Combine maple syrup, molasses, oil, and sugar in a large bowl. Add applesauce and flax-water mixture to the large bowl. Set aside. In a medium-sized bowl, combine baking soda, flours, sea salt, spices and xanthan gum. Add half of the dry ingredients to the wet ingredients, then stir. Add 1/4 cup of milk, then stir in remaining flour. Add more milk if necessary. The dough should be a little sticky at this point, so use floured hands to roll it into a ball and wrap it in plastic before refrigerating. If you’d rather keep it in the bowl while you refrigerate it, scrape the dough down the sides of the bowl before you chill it. Refrigerate for at least 40 minutes. Preheat oven to 350° F and line a baking tray with parchment. Remove dough from fridge and divide in half. Roll out each half on a floured, gluten-free surface to 1/4 inch thickness before cutting into desired shapes. Place cookies at least 1 inch from one another on the parchment and bake for 10-12 minutes depending on your oven and how crispy you’d like them. Makes about 3 dozen cookies (depending on size) or 1 gingerbread house and a few accessories. Adapted from Gluten Free Girl and She Let Them Eat Cake.